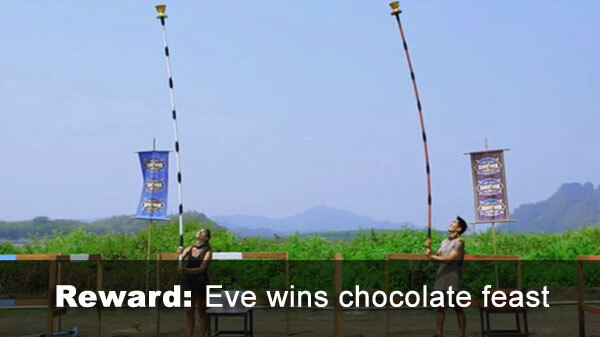 Ep.11 Reward challenge: "Over Extended" - Eve wins, bring second-place Dave and starving Adam, who proceeds to mock Dave for the rest of the episode. 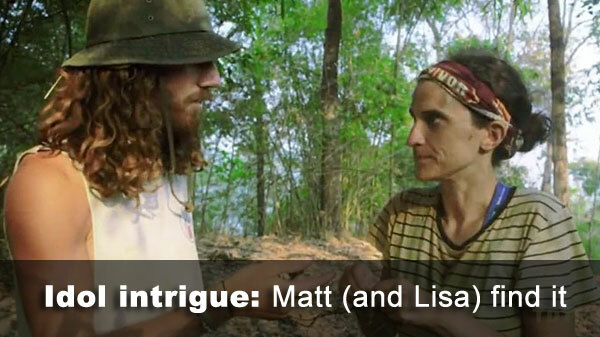 Ep.11 idol: Lisa and Matt both notice a rock arrow on the ground, follow it to a tree with an idol in it. Matt grabs it, swears he'll "share" it. 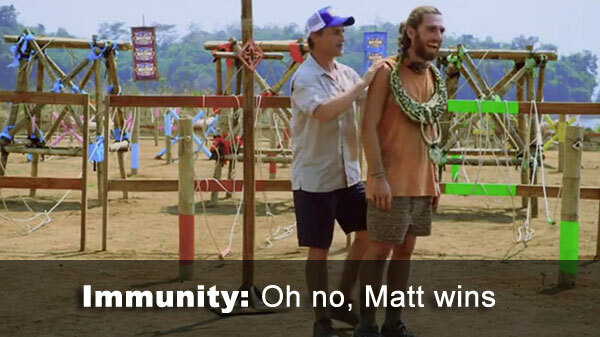 Ep.11 Immunity challenge: "Rope-A-Dope" - Closely fought, but Matt nabs the necklace, beating Tess and Dave. 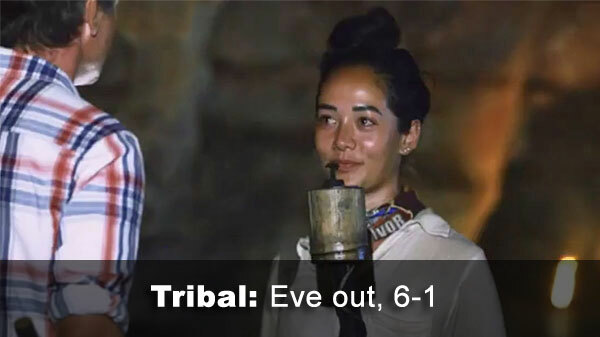 Ep.11 voted out: Eve, 6-1 over Dave, who once again does not play his idol. Notes: Nothing particular novel this episode, apart from Dave not playing his idol at a time he might really have been in danger. Also, just look at the MPF for everyone left now: Matt has a commanding 24% lead over the next-closest people. Although the challenge in the preview ("Offer It Up") seems like it might be an equalizer. - Eve received 5 votes, from Adam, Dave,Lisa, Matt, Tara, and Tess (voted out, 5-3). - Dave received 1 votes, from Eve.